The real baby boomer story laid bare. Ever wondered what it’s like to get so lost in the nether regions of an era that you can barely find your way home? 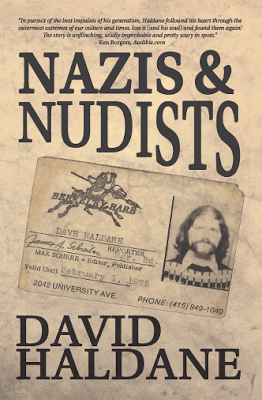 A ward – winning journalist David Haldane tells you with verve and humor in his new memoir, Nazis & Nudists, set for release on October 1st , by Black Rose Writing. 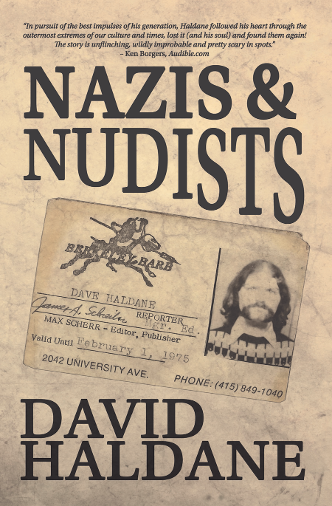 The book is aimed at baby boomers, would – be counter culturists, news reporters, their audiences, history buffs and anyone who’s ever struggled toward the light or appreciates the gripping tale of someone who does. 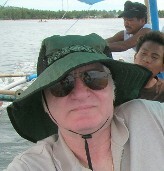 Haldane eventually achieved salvation the way increasing numbers of American men do these days; by finding love via the Internet on a distant and exotic Philippine island. En route to marital bliss, however, he traversed some rocky terrain from the cluttered newsroom of the Berkeley BARB to the disintegrating halls of the Los Angeles Times in its waning days. He also encountered such iconic purveyors of the time as a grandfatherly Walt Disney, a young bodybuilding Arnold Schwarzenegger, Charles Manson’s lawyer who got murder ed for his troubles, Timothy and Joanna Leary at the gates of hell, a famous beatnik’s ghost on the railroad tracks, American terrorists with stolen identities fixing to take down the country and Bernie Sanders as a young mop – haired politician cursing at t his own image on the screen. Purchase this book at Black Rose Writing, Amazon or Barnes & Noble. David sure has lived an eventful life and it’s not over yet. I wonder what other adventures are in store for him. So far, he has traveled all over the world (ex. Germany, Mexico, Greece and Philippines). He’s met the most interesting people (ex. Walt Disney and Arnold Schwarzenegger). He’s also participated in antiwar demonstrations, worked at The LA Times, and been married more than once. Folks, that’s not everything he’s lived through. Compared to his life, mine seems rather low key which is mighty fine in my book. David Haldane’s career in journalism has spanned more than four decades, beginning as an underground reporter for the Berkeley BARB and culminating in twenty – three years as a Los Angeles Times staff writer. Currently he live s in Joshua Tree, California , where he writes magazine articles and books. His work has appeared in many publications worldwide including Los Angeles Times Magazine , Orange Coast , Islands , Penthouse and Salon . It has been anthologized in two previous books.